Financial Ties Bind Family to a Life in New Orleans Recent reports have put the population of New Orleans somewhere between 170,000 and 250,000, in a city that was about 460,000 before Hurricane Katrina. Robin Stewart is one of the few who has returned to make a go of living in the city again. Robin Stewart's home, where she has lived for 15 years, as seen from Emerald Avenue. 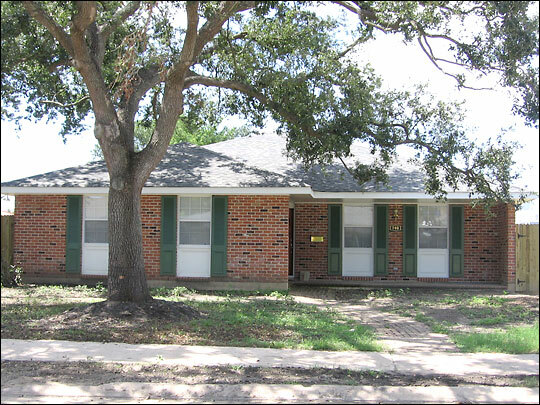 The house stood in 5 feet of water during the flooding after Hurricane Katrina. Robin Stewart, 51, and her son Michael Finklestein, 17, stand in front of their home in the New Orleans neighborhood of Lakeshore. Robin Stewart estimates that she has lost as much as $65,000 in the year since Hurricane Katrina hit. Much of that loss came in the form of damage to her biggest asset, her home. 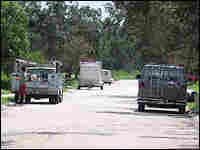 The view down Emerald Avenue show's some signs of activity in the neighborhood. But Stewart's house is the only owner-occupied home on her side of the street. 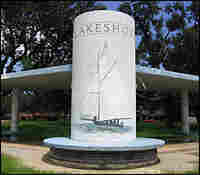 The number of people in the Lakeview area is estimated to be little more than 11,000 people. 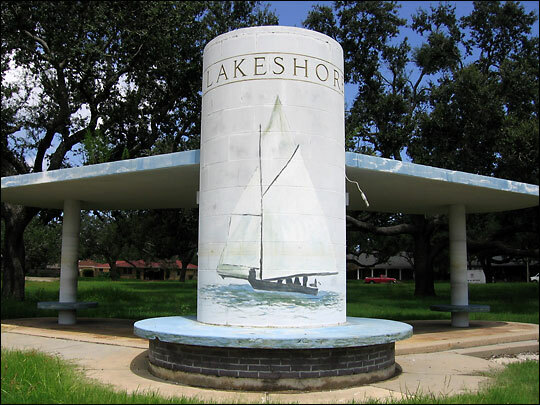 The welcoming monument to the New Orleans neighborhood of Lakeshore, part of the city's Lakeview district. Recent reports have put the population of New Orleans somewhere between 170,000 and 250,000, in a city that was about 460,000 before Hurricane Katrina. Robin Stewart and her sons Matthew, 22, and Michael Finklestein, 17, are one of few families that have returned and are trying to rebuild in the neighborhood of Lakeshore in the city's Lakeview district. "Everyone in the area takes such pride in returning to Lakeview," Michael Finklestein said. "Everyone puts signs on their yard saying that we're coming back. But it's good to actually be back. We don't need a sign; we're here." But the decision to return has really been one of financial necessity, rather than emotional attachment. Stewart says that if her two sons were older, she would have left New Orleans. She still tears up when she remembers those first days after the storm when she was staying with her sister in Austin, Texasm, and she realized she'd lost everything. Her ex-husband broke the news that the house they'd purchased together 15 years ago had taken on at least 5 feet of flood water. "I guess that was one of the lowest points," Stewart said. "Because you think, I'm 50 years old, and you work your whole life, and you do the best for your kids that you can. And then, in one second, everything is gone. And it's like you hadn't worked at all, and you had nothing to show for all the work you had done." 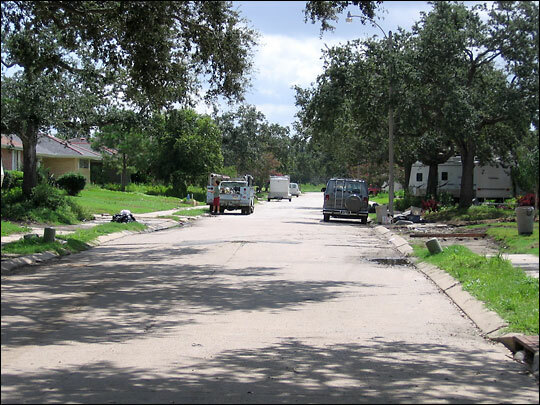 Stewart lives with her two sons on Emerald Avenue in a neighborhood flooded by the 17th Street Canal. The house to the left has been torn down, leaving nothing but sand and grass in its place. The house to the right has an unused FEMA trailer on the front lawn, and a realtor sign bouncing in the wind. Stewart says that for her and her family, these "For Sale" signs are a godsend because they are evidence that her neighborhood will retain some of its value. Flooding damaged 47 percent of Stewart's home. Repair estimates have been in the range of $175,000. Every estimate was 10 percent to 15 percent higher than she had anticipated. Stewart's insurance money has added up to just $65,000, after the mortgage company took its cut. She has had to take on a new mortgage and new loans to keep the house. Meanwhile, the cost of living in New Orleans has risen. "The electric bill is higher. The cable bill is higher than prior to the hurricane," Stewart said. "It seems to me everything is increased." She considered staying in Austin and trying to find a job. After several dead ends, she agreed to telecommute for her old advertising company at half salary. But she had no savings to put toward a new home in Austin. "Financially, I knew I didn't have enough money to say, 'OK, I quit. I am just going to stay here in Austin and figure things out from there. We'll live off the savings,'" Stewart said. "That wasn't the option; there was really no savings." Moreover, she had two sons who were headed to new colleges in the fall. 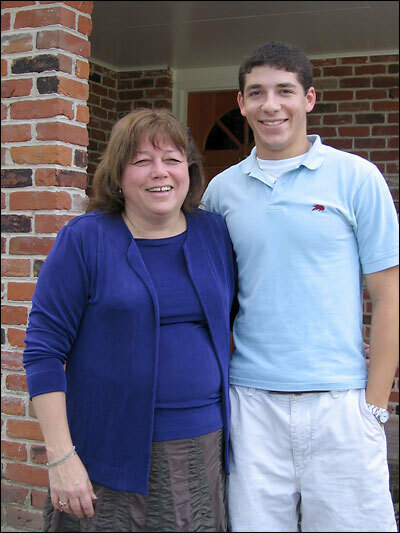 Her oldest, Matthew Finklestein, 22, was headed to law school. Her second son, Michael Finklestein, 17, would be a freshman in college. But the storm had devastated her ex-husband's law practice. Neither of the parents would be able to fund the boy's college bills without diving deeper into debt. So Stewart encouraged her children to apply to schools in-state to take advantage of residential scholarship and tuition programs. Between her sons' schooling and her new mortgage debt, Stewart says she feels financially bound to the city. She estimates she's lost upwards of $65,000 from her evacuation until now. She is relying on her neighborhood to rebound, even though right now there is only the hollow hammering of contractors to keep her company. Stewart is apprehensive about everything from her job to her chances of getting a grant from the federal "Road Home" housing program for Katrina victims. "It worries me when I look around the city and I know that there is no new business. There is no place for residents to live. I worry that the whole business climate in the city will fall apart and that one day, maybe I will be out of a job. Then how am I going to pay back some of this money?"